Creating a personal and professional environment around sport and recreation is an ideal working method to promote team spirit or networking relationships. That is why the Navarra Circuit offers open incentive models for companies to experiment unique and unforgettable feelings. A day for fun in group to drive a kart, do a safe driving course, drifting or know the essence of the Navarra Circuit are only some examples of what we can offer to companies and individuals. The customer can personalize the day thanks to the wide range of possibilities and event formats. 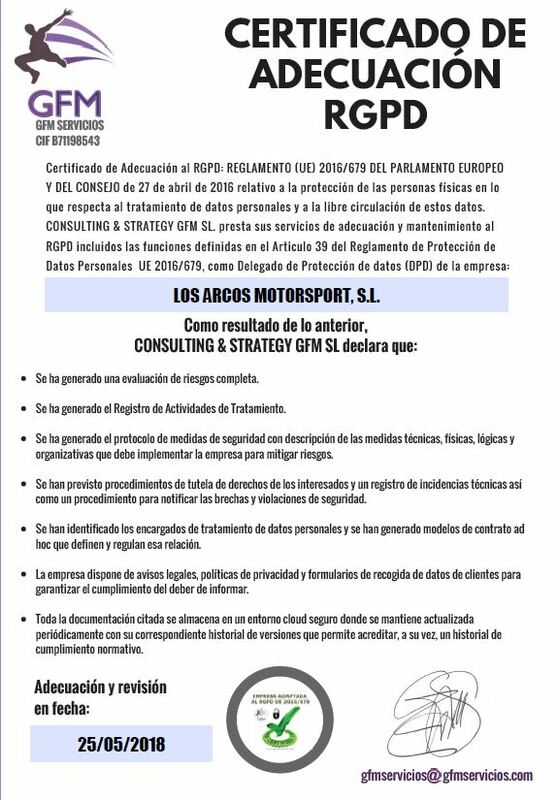 For more information about the incentives for companies fill out the form below and professional team Circuito de Navarra will attend. Fields marked with an asterisk (*) are required. Each and every one of the working spaces available at the Navarra Circuit can be complemented with recreational or gastronomical activities within the sporting facilities. A networking day added to a karting team competition will enrich any working day. For more information about the Corporate Packages fill out the form below and professional team Circuito de Navarra will attend. Fields marked with an asterisk (*) are required. The pit box building, located between the main straight of the Speed Circuit and the Paddock, has 17 Hospitalities, ready to be VIP spaces to enjoy the thrill of motorsport from a privileged space. Overlooking the main straight, the pit lane area and the garages, the hospitalities are prepared to accommodate 35-40 people. Each room can be fully customized and conditioned depending on each customer’s requirements. The Navarra Circuit offers the possibility of living sporting races or events in their exclusive VIP Lounges. The Control Tower has two rooms with exceptional panoramic views over the circuit facilities. VIP Lounges have 150 m2 each and have a capacity for 100 people, who will enjoy the comforts of the room: catering service, personalized attention, plasma TVs and air conditioners, among other advantages. The main room of the Navarra Circuit is located in the magnificent Atalaya Center. The room can accommodate 150 people thanks to its 300 m2. It has megaphony, projection system, electrical plasma screen and lighting. The room also has direct access from the kitchen and catering services in the building. The Briefing room is a light and spacious workspace ready to hold different activities, mostly exhibitions. It is located in the central area of the Pit box building first floor and is connected with the press room, the catering room and the access to the boxes. Is one of the most versatile rooms in the building, created for presentations, showrooms, and networking with high capacity and great views over the main straight of the Speed Circuit. ULocated on the first floor of the pit box building and with a privilege view over the main straight, the press room is a workspace in library format from where media professionals can cover the latest news of the Navarra Circuit. It is equipped with 50 plasma televisions, wired Internet network, Wi-Fi and seats for more than 150 journalists.